The past Saturday, 55 exhibitors of independent comics brought visual and verbal story-telling creativity to Rosslyn's Artisphere for the annual Smudge Comics Arts Expo. From children's comics to zombies invading New Jersey, there was something to appeal to everyone. The Ode Street Tribune's journalist liked "the made-up adventures of a real-life hero," Master Jeffrey. He's the sort of gruff, no-nonsense character that makes the great, old-school, hard-boiled journalist. He also is a loving tribute to the comic-creator's now deceased brother-in-law. Check out some of Master Jeffrey's adventures here. The Smudge Comics Expo included talks in Artisphere's Black Box Theatre ("Exploring Science through Comics," "Diversity in Comics," etc. ), films in Artiphere's Dome Theatre (especially "Root Hog or Die," a documentary about independent, self-published cartoonist John Porcellino), and hands-on educational activities in Artisphere's Education Lab. 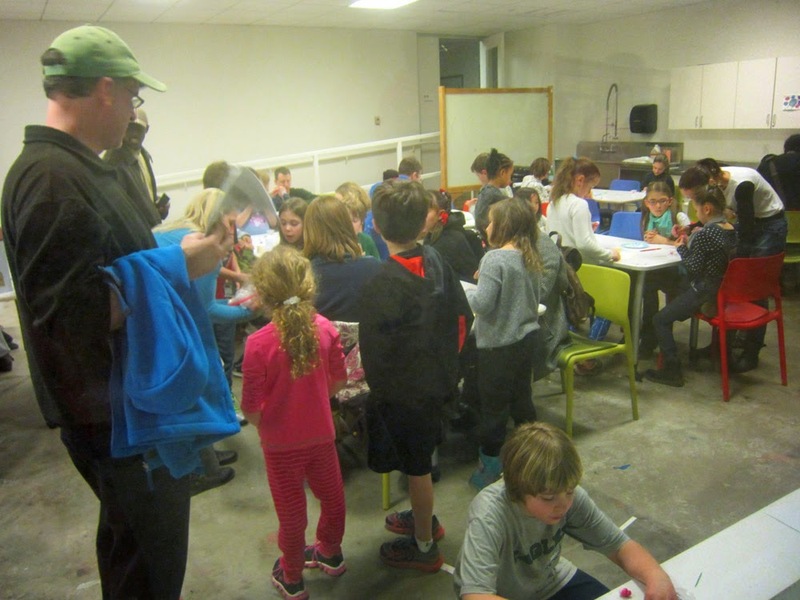 A huge flock of kids was intensely engaged in the Education Lab activities. Undoubtedly these kids are eagerly looking forward to the Smudge Comics Expo next year at Artisphere. Parents, be sure to look for this event next year. If you don't take your kids to Artisphere for this event next year, you are sure to face household rebellion and meltdown.